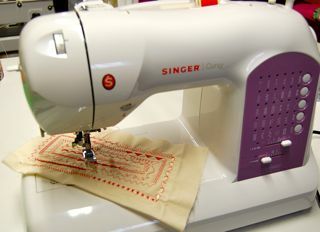 Whether you have a lovely vintage machine, like my Singer 301 or featherweight, or if you have a newer sewing machine like my Singer Curvy, making a corded buttonhole should not be a chore. 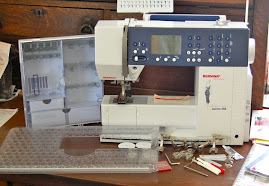 I use buttonhole attachments and make use of the automatic built-in. I have blogged about many types of buttonholers, and some are worth revisiting or reading for the first time. A search on my blog came up with quite a number. Click to revisit those. 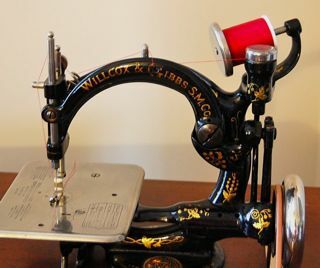 In one I talk about using the vintage buttonholer attachment to make buttonholes, and corded buttonholes. I personally like the finished look of the corded. 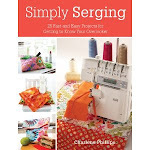 Unless the fabric is sheer, I lean towards that method for durability of the buttonhole. I always go over my buttonholes twice, and with the cording, this gives more depth and texture to the buttonhole. 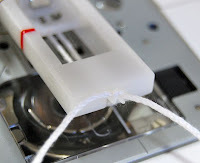 For the cording, you can use filler cord, embroidery floss, crochet thread, pearl rayon or cotton. You can use single or double strands. 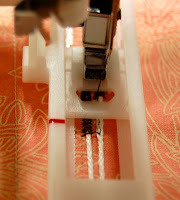 Set your sewing machine buttonhole stitch to ensure it encases the cording (stitch width). Most buttonhole feet have a spur at the back of the buttonhole foot. 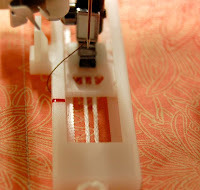 Hook your cording over the back, bring to the front (under your foot). 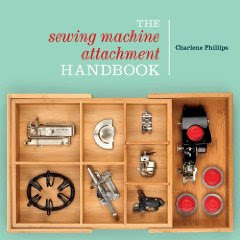 Check your vintage attachment as it also has a method of hooking around the back. In the front are usually two small slots. Pull the cord up through the slots and tie off. Lower your foot, making sure the cording is not twisted. 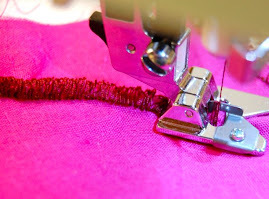 As you begin sewing your buttonhole, you will notice the stitching covering the cording. When the buttonhole is complete - don't raise the foot or move it. Stitch a second time around. This is certainly optional. When completed, release the cord from the foot. Either snip off the extra length, or draw the cords to the other side with a hand sewing needle. 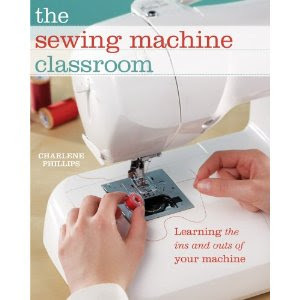 You will have a corded buttonhole in no time at all!